Granite barrier free shower with custom glass outswing shower door. Shower controls at wheelchair height. Fold down padded shower bench on one wall of shower. Grab bars where needed. 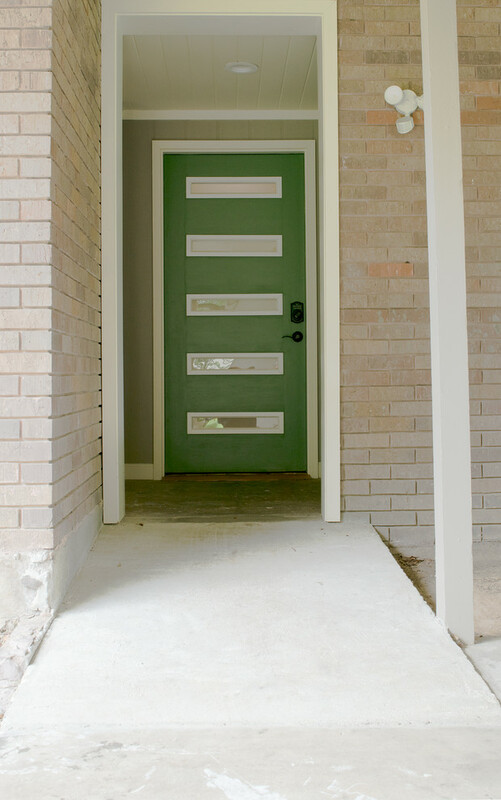 The front entryway of this beautiful 1960's split-level home was changed to a period appropriate door with narrow windows that provide full visibility and security. The lock is a keyless entry. A bright LED light was installed above the door for extra security, along with a motion sensor light under the carport. The concrete entrance is a seamless sunken ramp that is 4" thick right to the end, yet allows a smooth transition from the carport. The landing area at the door provides a level space and zero threshold passage. Entryway from front door to upper level of 1960's split-level home. Previous step was set into the foundation and rebuilt as a ramp. Flooring is cypress. Ramp is ADA compliant. Decorative railing was installed to prevent access from the dining area over the edge of the raised floor. New stove with front controls and steel backsplash was installed and previously damaged vent to roof was repaired. Tilting mirror over traditional vanity in hall guest bathroom. 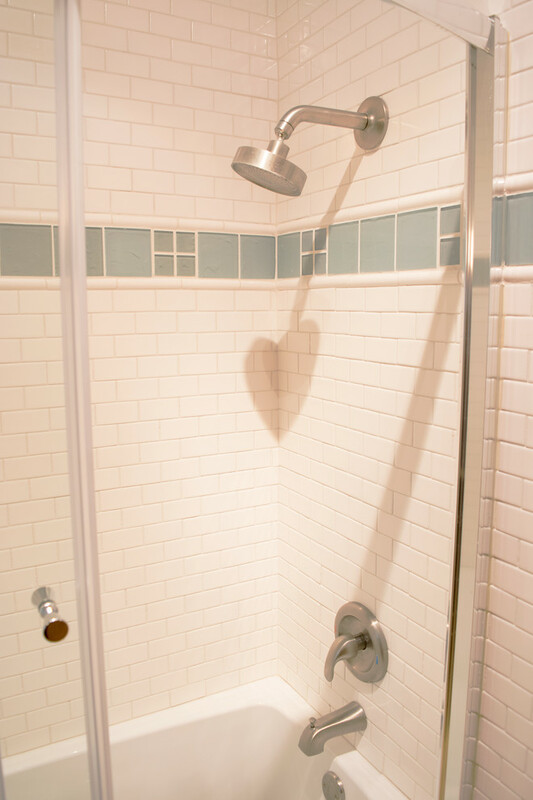 Bathroom completely redone in subway tiles. Existing bathtub replaced with new curved wall tub with sliding door. 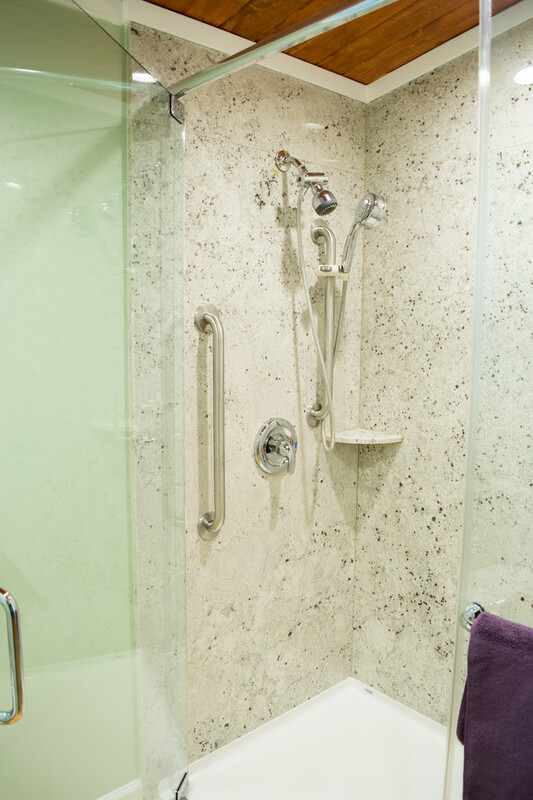 Granite barrier free shower with custom glass outswing shower door. Shower controls at wheelchair height. Fold down padded shower bench on one wall of shower. Grab bars where needed. Roll-under vanity with matching granite counter top, lever-style handles with gooseneck faucet.